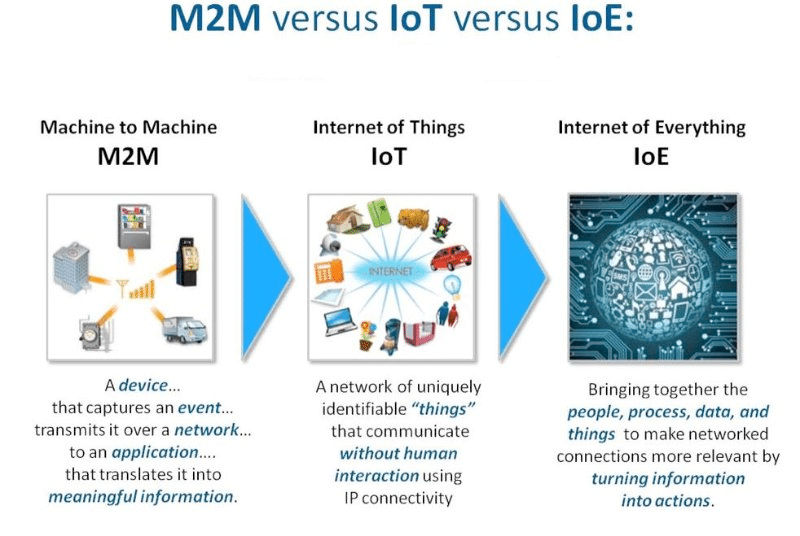 The internet of everything (IoE) connects people, places, things and services. While this offers businesses an abundance of opportunity for innovation, new business and revenue, it also comes with some great challenges. In this new reality, connecting and curating digital ecosystems are essential to defining, designing and implementing complex, IoE-based services. With market estimations ranging between $15 and $60 trillion over the next 15 years, a business’s ability to integrate and manage the digital ecosystems represented in this term “everything” will quickly sort the winners from the losers. Learning how to master ecosystem management will allow businesses to grow, while also reducing the risks associated with multiple close, dynamic, inter-reliant partnerships. But how do you go about this? Ecosystem management is a new concept to the majority of organizations today. It is not part of any MBA program, nor is it discussed at conferences on digital business. The lack of information and expert leadership surrounding ecosystem management means that it remains a largely abstract concept for most businesses, regardless of size and current market position. Only recently has the job title “ecosystem manager” appeared in relation to IoT projects, as stakeholders recognize the imperative of connecting digital ecosystems. Success comes down to being able to connect digital ecosystems as well as manage risk and reward across this dynamic landscape. Over the past few years, collaborative work among TM Forum members has resulted in breakthrough insights and the development of practical tools for ecosystem management. This has allowed stakeholders to better understand the complex ecosystem partnerships, required to deliver end-to-end connected services. The IoE ecosystem is an intricate value fabric, as opposed to the traditional linear value chain — and integrating this value fabric is vital to commercial success. Digital transformation programs aimed at enabling ecosystem business models and integrating this value fabric have become ubiquitous. Indeed, in order to grasp even part of this multitrillion-dollar market, companies will need to adapt their entire business model — as well as technology, operations, processes, internal culture and attitude towards customers, partners and competition. How do you monetize IoE and the new digital services? How do you manage the intricate and broad ecosystem of partners needed to deliver these services? How do you establish digital trust across these ecosystems, right through to the end user? Though, no single company can expect to find a miraculous solution to these multifaceted, multitrillion-dollar challenges. However, through open collaboration, steps are being made. For example, TM Forum’s members are making great strides by collaborating on digital service and platform reference architectures, an ecosystem mapping and management tool and a suite of open standard APIs. For different businesses, there are of course different challenges. However, as mentioned above, most if not all could certainly benefit from open collaboration and innovation. Let’s take the example of responding to request for proposals (RFPs). As RFPs begin to roll in and opportunities arise from enterprise and consumer IoE applications, designing a clear set of risk and reward sharing frameworks to manage the flow of the buy/sell process and managing monetization, management and trust across ecosystems will become a real focus. 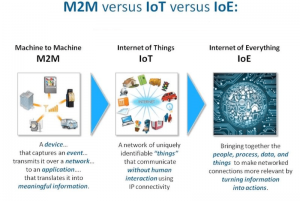 Connected technologies are increasingly evolving from M2M to IoT to IoE, so responses require end-to-end consideration of all supplier partners providing the final connected or “smart” offering to the end-user. With this in mind, communications service providers, for example, will need to determine their role in the value chain, while also bearing in mind that this role may vary from one RFP to another. Managing ecosystems is a new professional capability required for the digital marketplace, and this will require new skills, tools, resources and methods of aligning business, technology and processes across stakeholders of any nature. There’s a lot to build and lot of opportunity out there for those prepared to take on the risks and challenges of building a seamlessly connected economy. This article was co-written by Thandi Demanet. Thandi is the business analyst for TM Forum’s IoE & Digital Business program, working closely with members, including some of the world’s leading communications service providers and technology providers. Thandi helps design and support implementation of the Forum’s collaborative work in these areas, from strategic to tactical. Her aim is to optimize effective and efficient open collaboration on the most pressing challenges and opportunities within IoE and digital business for the creation of tangible best practices that all TM Forum members can implement for success in the digital economy. Thandi is passionate about the power and promise of IoT and technology to improve lives, societies and the world we live in.